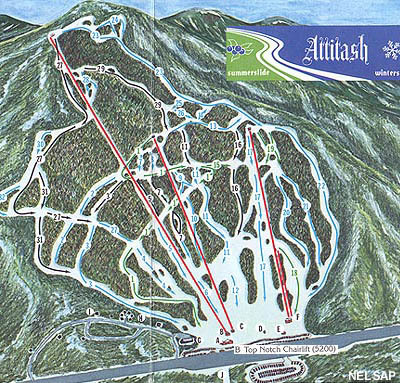 Advertised as the "red carpet" ski area, Attitash operated for its first few seasons as a double chairlift-served, 900 vertical foot ski area, located mostly on private property. In the competitive Mt. 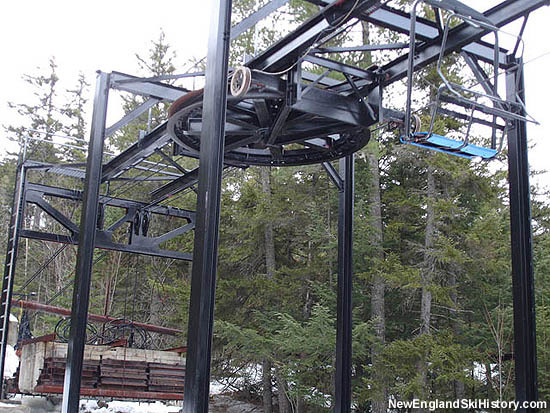 Washington region, the ski area looked to expand upward into White Mountain National Forest land with a monorail. By 1968, this didn't seem like a reasonable short term plan. 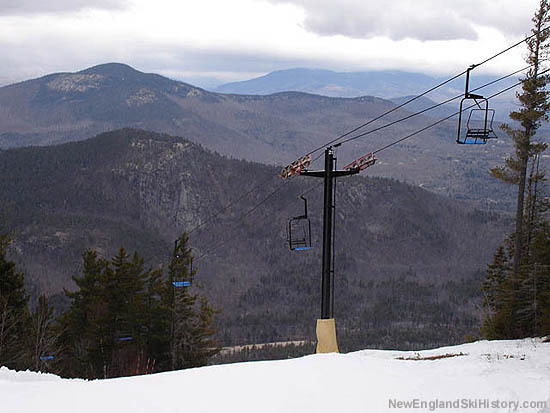 Instead, a new 1,525 vertical foot, 4,961 foot long Hall double chairlift was ordered and installed. Known as the "Top Notch," the new lift also featured a mid station and was used by CTEC in advertisements. 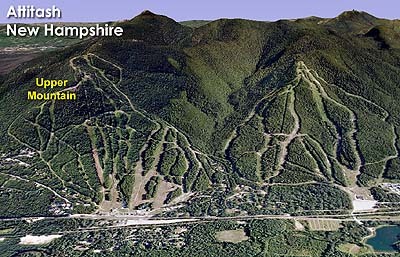 Ten intermediate and expert trails (some short connectors, others longer) were cut. 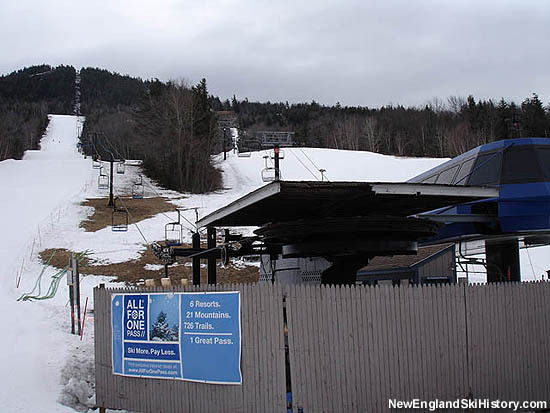 The upward addition helped to put Attitash in the same league as other larger ski areas in the region, such as Wildcat, Bretton Woods, and Loon. 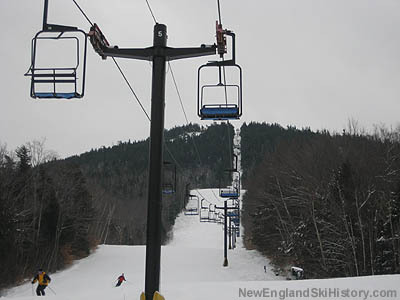 The Top Notch Double would be considered a "summit" lift for nearly two decades, until the "Summit" triple chairlift was installed in 1986.